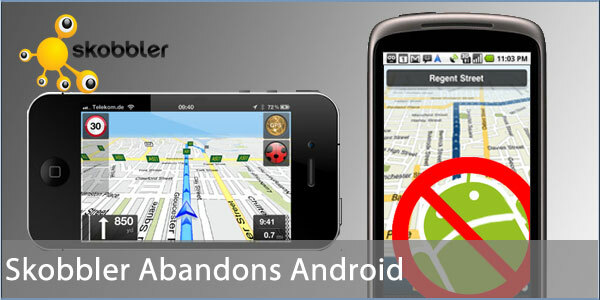 Skobbler has announced its decision to withdraw from the Android Market. Their free GPS Navigation app has been a big hit on the iOS platform with over 1.5million users worldwide. Skobbler cite the success of Google's free Navigation app on Android as one of the reasons for their decision not to pursue development on that platform. Skobbler plan instead to devote their resources to development for the iOS platform. Android is proving a tough marketplace for many developers. Frequent OS upgrades, the wide range of devices, increasing issues with pirated apps and a lack of policing by Google are other issues of concern to developers. It's strange; while it uses Open Street Maps data, it appeared to charge for the maps, which was, as I understood it, contrary to the GPL licence that OSM uses itself for its data. With that in mind, I wonder if there's anything more to this story than just lost money in an allegedly free application? Can I charge for distributing OSM data or data derived from OSM data? Yes. You can charge any amount of money you want for any service or data you provide. However, since the data (or service) that is derived from OSM data must be licensed as above, other people may then redistribute this without payment. Their lack of success of their GPS Sat Nav on the Google platform may be because most Android users are too young to drive?